There are numerous species of molds that exist in the environment. Some are indoor molds while others thrive outdoors. One common characteristic these molds share is that they all grow on semi-dry or moist surfaces. Most outdoor molds grow on dead plants and animals and play an important role in decomposition and nutrient cycling. 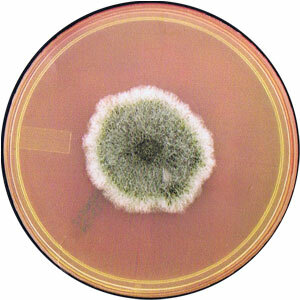 Stachybotrys is a genus of molds that can be found worldwide, in both indoor and outdoor settings. This article reviews this group of molds, their characteristics, the effects they can have on human health as well as sure ways of removing Stachybotrys mold. Stachybotrys, one of the most common and recognizable types of mold found in indoor environments, is a greenish-black mold that is often referred to as “black mold” or “toxic mold” due to its appearance and ability to cause severe illness in people who come into contact with it. Stachybotrys typically grows on materials that have a high cellulose content and low nitrogen content, such as fiberboard, gypsum board, drywall, paper, dust and lint. The primary cause of black mold is moisture—flooding, high humidity, leaks, condensation or some other form of moisture intrusion. Stachybotrys can produce toxins (called mycotoxins), which have been known to be hazardous to human health, especially in cases of long-term exposure. Stachybotrys mold is a type of mold that is often found inside the house. Famously referred to as black mold, it is sticky to the touch and is greenish-black colour. It is also popularly known as toxic mold due to its association with pulmonary hemosiderosis in infants in poor areas of Cleveland, with several fatal cases. However, these cases were surrounded in controversy and the exact role of Stachybotrys remains unclear [1, 2]. Nitrogen is one great enemy that does not go hand in hand with this mold. It thrives on surfaces with a low content of nitrogen and high amounts of cellulose. Such surfaces include gypsum board, paper, dust, lint, and fiberboard. 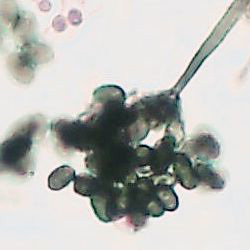 Like all other molds, Stachybotrys produces reproductive spores which are dispersed into the surrounding air. These spores are capable of staying in a dormant state for a very long period and will germinate and develop into a mold if they reach an environment with enough moisture and nutrients. What are common places for Stachybotrys mold to grow? Damp places like the bathroom ceiling, wet carpets, and wet boards are the best habitats that offer a comfortable setting for the Stachybotrys mold to develop. Stachybotrys is not a picky mold and can grow anywhere it finds enough moisture, including laundry rooms, poorly isolated basements, areas around leaky pipes and so on. Worryingly, some species of Stachybotrys produce mycotoxins which can be harmful to human beings if inhaled or ingested. Depending on factors such as temperature, humidity, and the nature of the surface it’s growing on, the Stachybotrys mold may or may not produce mycotoxins. What are Stachybotrys acceptable levels? Currently, there are no accepted guidelines when it comes to acceptable levels of fungal spores, including Stachybotrys spores. Many authors have proposed guidelines but they vary wildly and are largely unsubstantiated . In our experience, anything above 50 spores per cubic metre should be cause for concern. In any case, proper maintenance of heating, ventilation, and air-conditioning systems, removing dust and cleaning carpets regularly all help to keep the spore count at a low level. This mold has a very unpleasant, potent smell that is reminiscent of rotting wood and can be described as damp, stale, or musty. In many cases, Stachybotrys is discovered by sense of smell rather than by eyesight. It can often develop in hidden structural material, going unchecked for prolonged periods before its smell gives it away. This odor signifies that an air or surface test for Stachybotrys mold should be performed. A strong smell usually suggests that the mold is already well developed and would pose a challenge to anyone attempting to remove it on their own. In this case it’s probably a good idea to enlist the help of professionals. Stachybotrys is rarely found in isolation and nearly always occurs in the presence of other fungi. It is known as a tertiary wall colonizer, often appearing after primary (Penicillium and Aspergillus) and secondary (Cladosporium) colonizers. It proliferates relatively slowly in comparison to other species which leads to overgrowth by other molds, unless the surface is specifically suited to Stachybotrys . How to identify Stachybotrys mold? Because many mold species can be black in colour, the only way to know for sure if the mold you are dealing with is Stachybotrys is to have your house professionally tested. In most cases, a sample of the mold is obtained from a visible colony and taken to the laboratory for testing. Testing the air for spores can be more challenging but provides essential information on the stage of infestation and how likely it is to have an effect on your health. 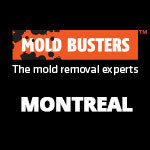 At Mold Busters we specialize in testing and removing mold in and around your house. We have modern equipment and qualified personnel that can discover the presence and the types of molds that may have invaded your home. Additionally, our technicians are experienced in completely and thoroughly removing mold and ensuring it doesn’t reappear in the future. We offer professional services that include surface sampling as well as indoor air quality testing to discover the presence of the Stachybotrys mold. 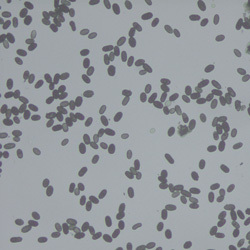 Stachybotrys mold is infamously associated with the outbreak of infant pulmonary hemorrhage in Cleveland during the 1990s. 37 cases were reported from 1993-1997, including 12 fatalities . 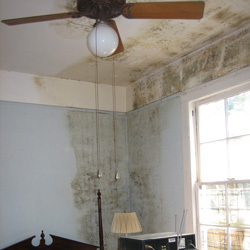 Due to widespread media coverage, Stachybotrys became known as “toxic black mold”. However, after review the studies were accused of many shortcomings, including biased sampling and inadequate diagnosis. 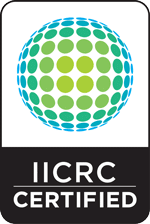 Researchers questioned the validity of the findings, and the CDC subsequently published a retraction of its support of the conclusions of the studies . They stated that while the hypothesis that Stachybotrys contributed to the disease could not be excluded, it was not proven either. However, Stachybotrys does produce mycotoxins that can have serious effects on the health of humans and animals as evidenced by many cases of poisoning in Russia and Eastern Europe . It is far from harmless and more studies are needed to properly elucidate its association with human disease. Although Stachybotrys may not be as toxic as purported, removing mold is still a must. As stated above, Stachybotrys is usually a tertiary colonizer, meaning that if you have Stachybotrys, you likely have other types of mold which have been proven to be dangerous, such as Aspergillus or Cladosporium. What are some of the symptoms of exposure to Stachybotrys? In some cases, Stachybotrys can produce mycotoxins, notably trichothecenes. These toxins are inhibitors of protein synthesis, and can lead to a wide range of symptoms, such as dermatitis, pain and inflammation of the mucous membranes, respiratory issues, fever, headache, fatigue and many others. Stachybotrys poisoning, or stachybotryotoxicosis, was first observed in farm animals in Ukraine and Eastern Europe in the 1930s. Human cases were reported in people working on farms who had come into contact with contaminated hay or straw. In a case involving workers from New York, Stachybotrys mold on cardboard boxes is thought to have caused the workers to experience throat irritation, rash, fever, fatigue, muscle aches and stomach aches . How to remove Stachybotrys mold? Removing the mycotoxin producing Stachybotrys mold can prevent any potential health hazards that may result from it. 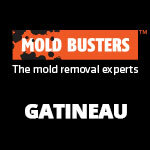 Everyone wants to know the surest way of removing and treating this mold. Keeping humidity levels low and treating any affected areas with a solution of bleach can be helpful in some cases. However, mold can be extremely persistent and often requires professional intervention. 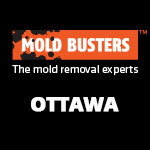 At Mold Busters we offer top quality services at an affordable price to help you in this. Once you discover any mold or an unpleasant smell in your house, do not hesitate to seek professional services from our group of trained professionals. 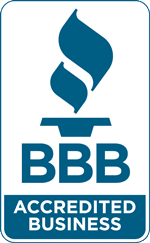 We specialize in mold testing and removal, dehumidifying, improving indoor air quality, and preventing any reoccurrence of mold. All of these services are offered at very reasonable prices. At Mold Busters we offer a variety of ways to test for mold, from surface sampling (tape/swab/bulk) to indoor air quality testing (viable/non-viable). 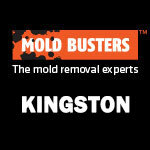 Call Mold Busters today to book your mold test! Kuhn DM, Ghannoum MA (2003). Indoor mold, toxigenic fungi, and Stachybotrys chartarum: infectious disease perspective. Clin Microbiol Rev. 16(1):144–172. Rudert A, Portnoy J (2017). Mold allergy: is it real and what do we do about it? Expert Rev Clin Immunol. 13(8):823-835. Etzel RA, Dearborn DG (1999). Pulmonary hemorrhage among infants with exposure to toxigenic molds: an update, p. 79-83. In: Bioaerosols, fungi, and mycotoxins: health effects, assessment, prevention, and control. Eastern New York Occupational and Environmental Health Center, Albany, N.Y.
From the Centers for Disease Control and Prevention (2000). Update: pulmonary hemorrhage/hemosiderosis among infants – Cleveland, Ohio, 1993-1996. JAMA. 283(15):1951-3.